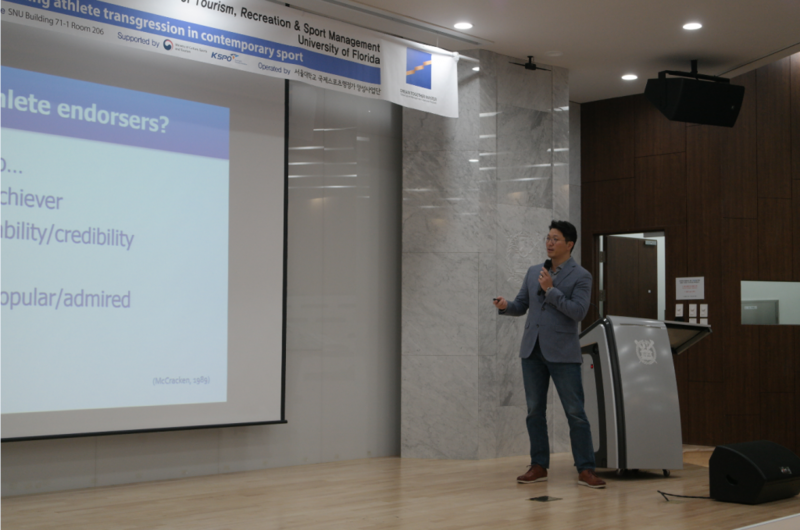 To give better understanding about athlete transgression in contemporary sport, Prof. Joon Sung Lee presented about potential risks of celebrity endorsement, a form of brand or advertising campaign that involves a well known person (and athlete) using their fame to help promote a product or service and introduced his research model and moral reasoning strategies in the DTM special lecture at the Seoul National University. 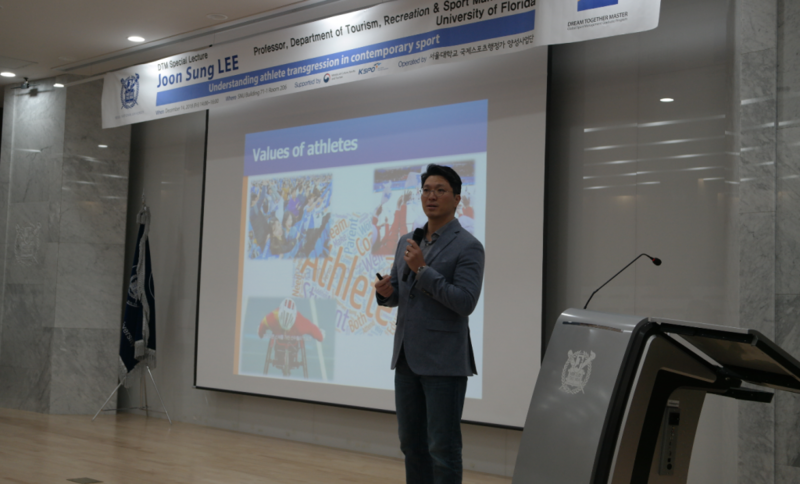 Dr. Joon Sung Lee is an Assistant Professor with the Department of Tourism, Recreation and Sport Management at the University of Florida. 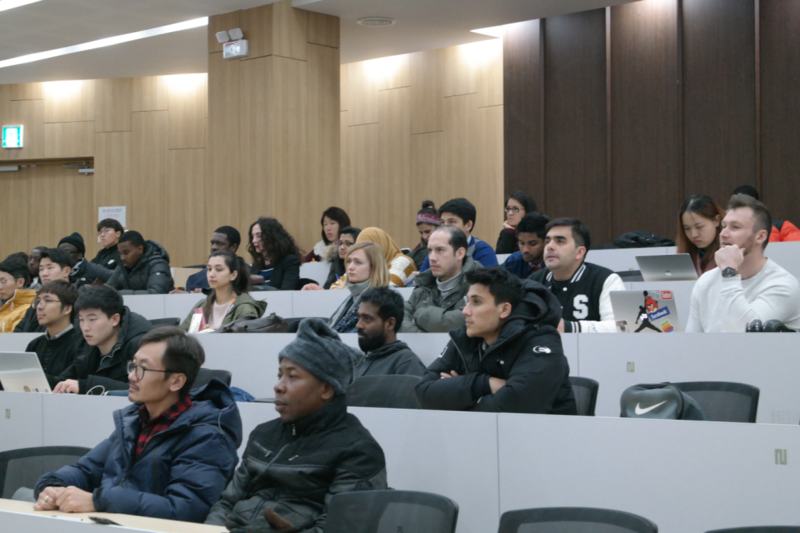 His primary research encompasses topics surrounding corruption in Sport as a critical sociocultural issue. 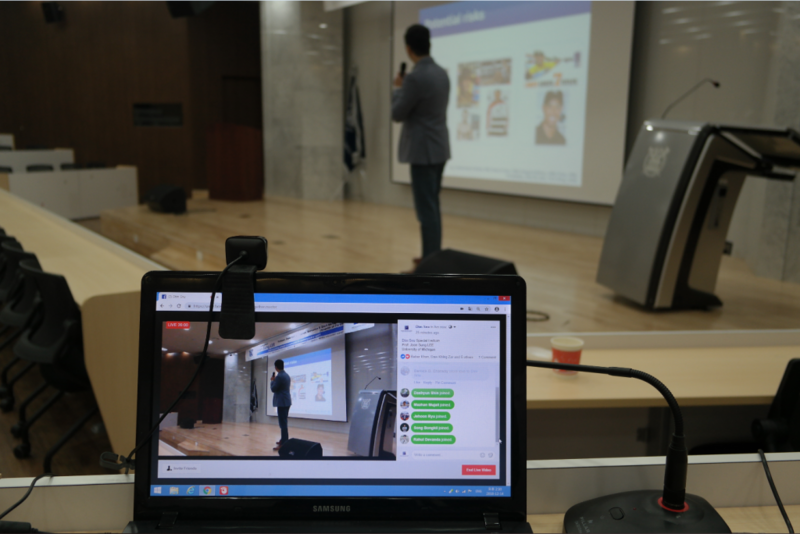 Focusing on athlete transgression, he has conducted a line of research investigating how sport consumers process an athlete endorser’s transgression information and respond to the troubled athlete in different ways. This line of research has been extended to a variety of topics in athlete endorsement domain. 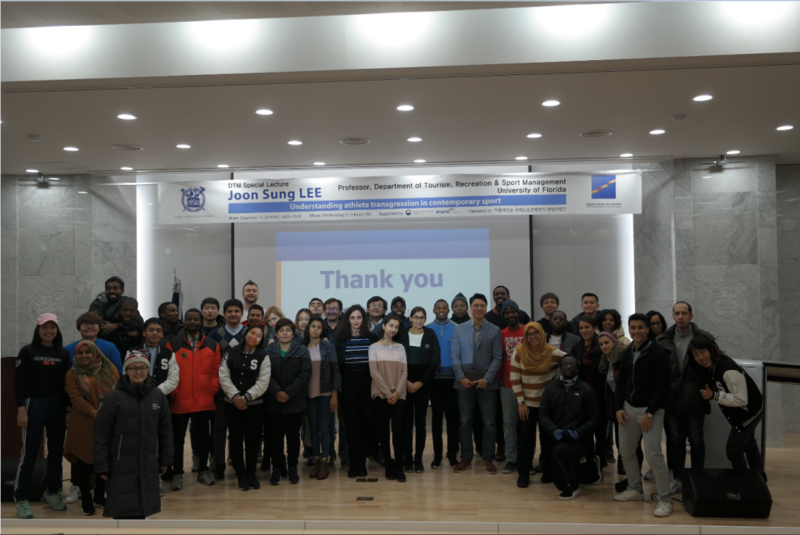 His recent work has been published in top peer-reviewed business and sport journals (e.g., Journal of Business Ethics, Journal of Sport Management, Sport Marketing Quarterly, and so on). His work has also been quoted by media (e.g. Business Standard, Boston.com, etc.) to explain sport consumer’s multi- faceted responses to athlete transgression such as Deflategate and Tiger Woods scandal. 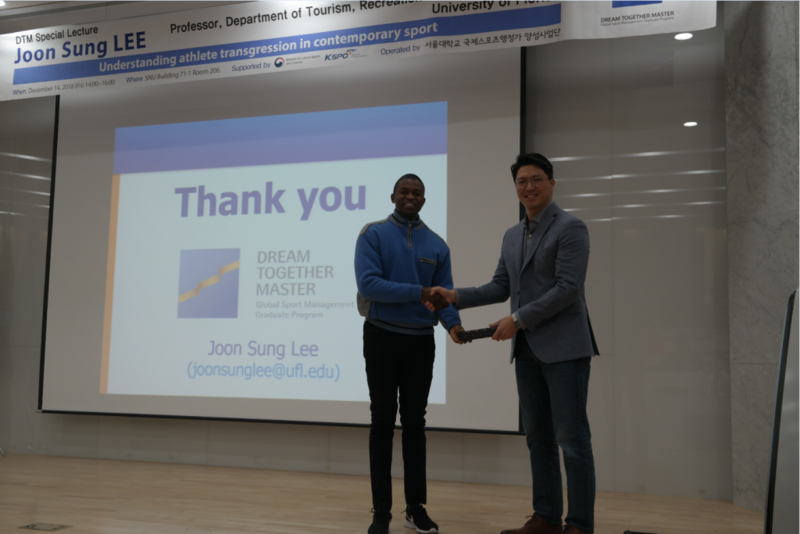 In 2015, he was selected as a runner-up for the European Association for Sport Management Conference New Researcher Award and a winner of the Sport Marketing Association Conference Best Student Paper Award.